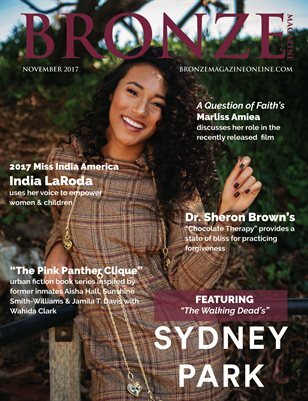 In this month’s issue, our cover star is the beautiful, young and talented actress, Sydney Park, who recently played the role of Cyndie, one of Oceanside’s rebel survivors in season 7 of The Walking Dead. Hands down, one of my favorite shows, I admired the strength that Sydney brought to Cyndie’s character and I truly hope to see her again in season 8. In our interview with Sydney, she talks about things like her role on the show, growing up as a child star, her comedic roots and what she likes to do when she’s not filming.